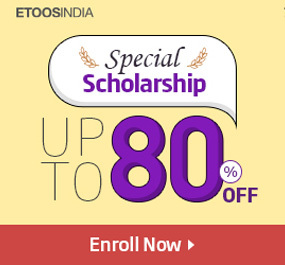 How To Crack IIT JEE 2020? 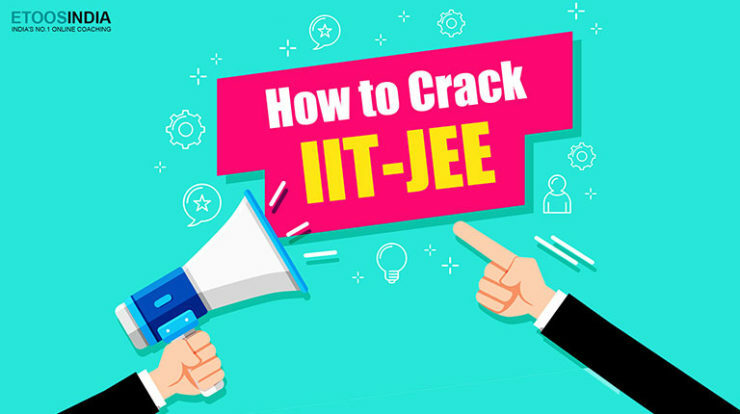 How to Crack IIT JEE 2020: JEE is one of the toughest competitive examinations held in India. Students aspiring to enter the top engineering colleges in the country begin their preparation way before this exam however only a few are able to get through it. Ever wondered as to how some students crack JEE in a single attempt while others are unable to do so even after multiple attempts? Well, this is because they lack good planning. If you prepare a proper plan and are determined then you can crack the IIT entrance exam in a single attempt. How to prepare for IIT JEE 2020? Here, Kota’s Experiences Faculties Provide the right iit jee preparation tips and tricks. Candidate Need to Follow this jee mains preparation plan and boost there confident. The first and foremost thing you need to do is to know the Complete jee mains syllabus for Physics, Chemistry, Mathematics. It is only when you have the entire syllabus handy would you be able to prepare an effective schedule. Consult your teachers and refer to the information available on the official JEE Main page (https://jeemain.nic.in/) to know the same. Prepare a workable schedule to cover your syllabus well in time. It is suggested to prepare a tentative yearly schedule and strict daily, weekly and monthly schedules and stick to them diligently. Your schedule must be such that you have enough time to revise your lessons as well. Just mugging up chapter after chapter does not help. It is suggested to solve Jee main sample question papers and give Jee online mock test every once in a while to know where you stand. It is also a good idea to assess your knowledge by giving mock tests. Get in touch with the faculties at your iit jee online coaching centre to know what the important parts are. Though it is essential to be thorough with the entire syllabus you must focus on the topics that carry more weight-age and are important from the examination point of view. Lastly, do not underestimate the importance of eating a healthy and well-balanced diet. Also, make sure you take a good 7-8 hours sleep everyday and indulge in exercise regularly to stay energized and concentrate better. Now Follow these tips to iit preparation. 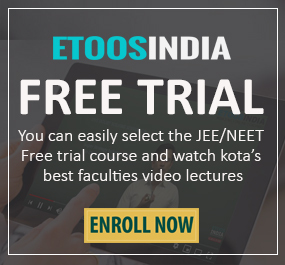 These Tips provided by the Expert faculty of Etoosindia, for more information regarding JEE Study Material, Video Lecture, Exam Solutions please visit Etoosindia website. Below find the detail of Important date of JEE main 2020 January attempt. JEE Main 2020 April Exam date: Below find the detail of Important date of JEE main 2020 January attempt. Thank’s to Blog. It’s a really good job guy…! best of Luck.